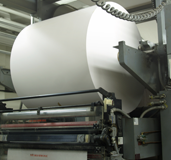 INDEV delivers cost-efficient Quality Control Systems (QCS) for the paper, board and tissue industry. INDEV has provided more than 300 measurement and control systems for smaller and mid-size paper-machines. 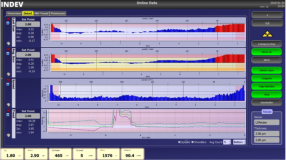 INDEVs GaugeView™ displays production relevant data in different views. INDEVs in-house development has led to control-algorithms which can forecast the material- and energy-balance and hence help improving the productivity. Cause and effect of quality problems within the production of web can be investigated using the Process Analyzer. For this purpose process- and lab-data are collected, processed and displayed graphically.